As Wednesday drew to a close, I got onto a plane and took a red-eye to NYC. I'm not sure how I feel about red-eyes; I feel like from LA to NY, they make perfect sense, but I can never sleep on a plane ride so the timing is sort of futile. Anyhow, landed in the wee hours on Thursday and booked it from the airport to dropping off luggage, to grabbing a quick breakfast, to the Lincoln Center to cover the first show of Fashion Week for NJOY: BCBG Max Azria. In between errands back home in LA and rushing through NY, I guess I didn't really plan any outfits for fashion week. Thursday felt right in these silky A.L.C. pants, comfy mid-heeled boots from Article&, the trusty Super Dupers for shielding my tired eyes, and a Zara beanie for my unkempt hair fresh off the plane. 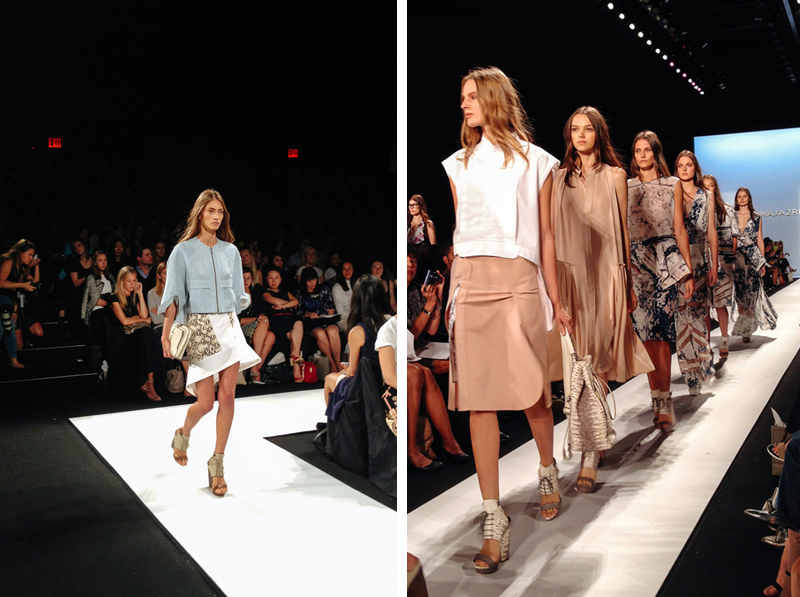 BCBG Max Azria always kicks off NYFW right. Their collections are seamlessly fun and vibrant, and this SS14 set was no different. 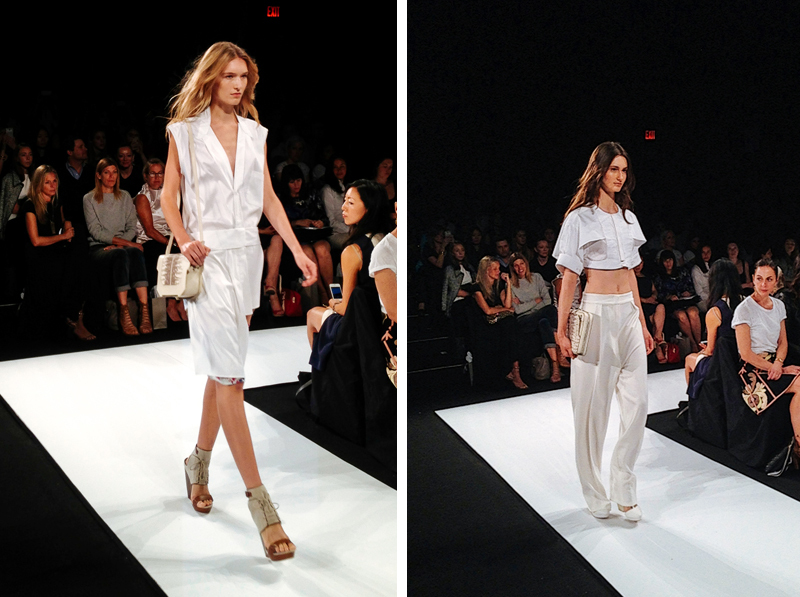 I loved the tailoring and the menswear-inspired silhouettes, but of course with that BCBG feminine twist. Shoes were killer (as always). I've had the pleasure of meeting Max and Lubov a few times at their gorgeous home in LA and I think a part of their love as a duo is what makes BCBG Max Azria continually fascinating. Absolutely amazing, I love your outfit!! I love the look ! This might be one of my favorite fashion week looks! In love! really nice outfit, love the top! Well, despite the red-eye flight (I hate them too, though somehow seem to always book them) you look fabulous. And sometimes a spare of the moment outfit is best, as in this case. 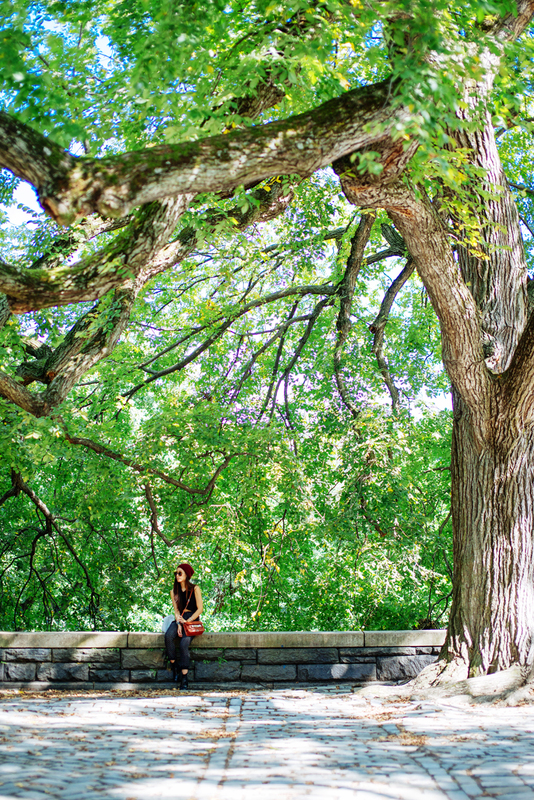 The runway images are nice, but I really love the photo of you and the big tree! These photos are great. I especially love the sharp lines of the boots & the PS11 looks so good in brown! I like your bag and pants very much! Love your outfit. And your photos are gorgeous! 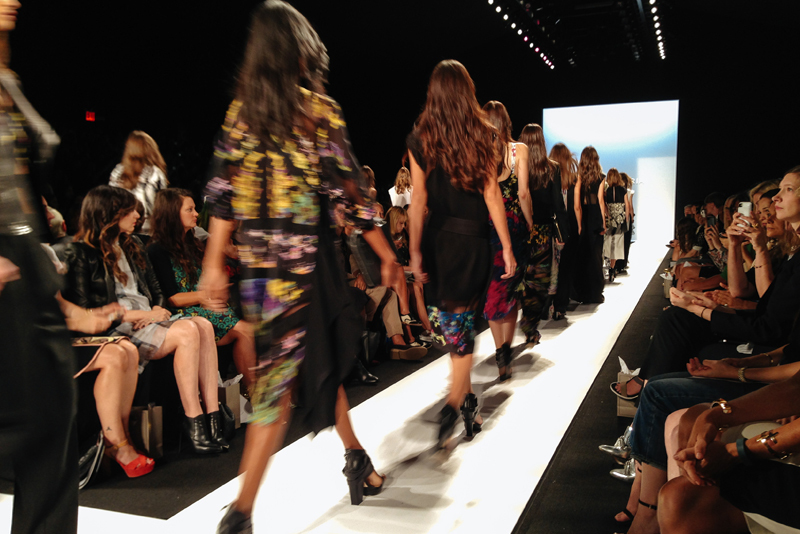 BCBG show was amazing! always among my fave! Oh I love this Outfit! And the pictures turn out so great! 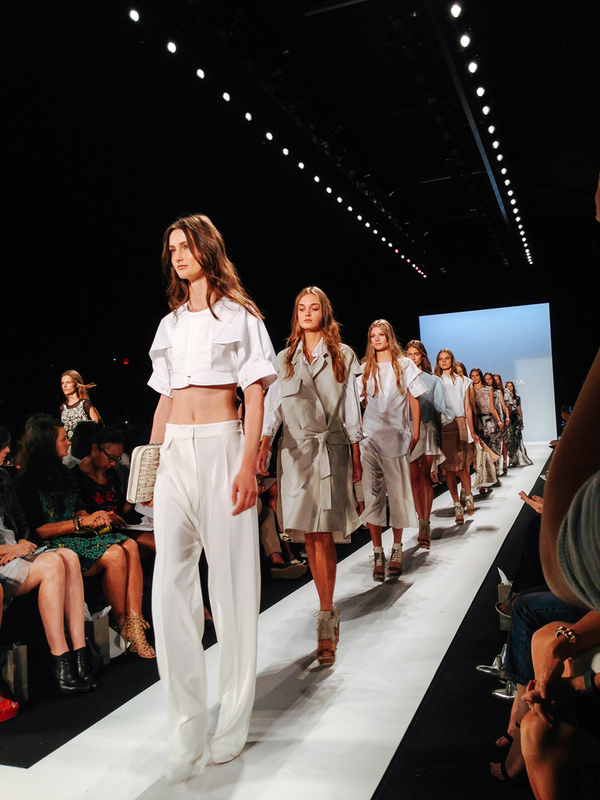 I always love kicking of NYFW with BCBG as well. While I've only met Lubov, her energy is amazing. Loved your outfit. lovely outfit!!! 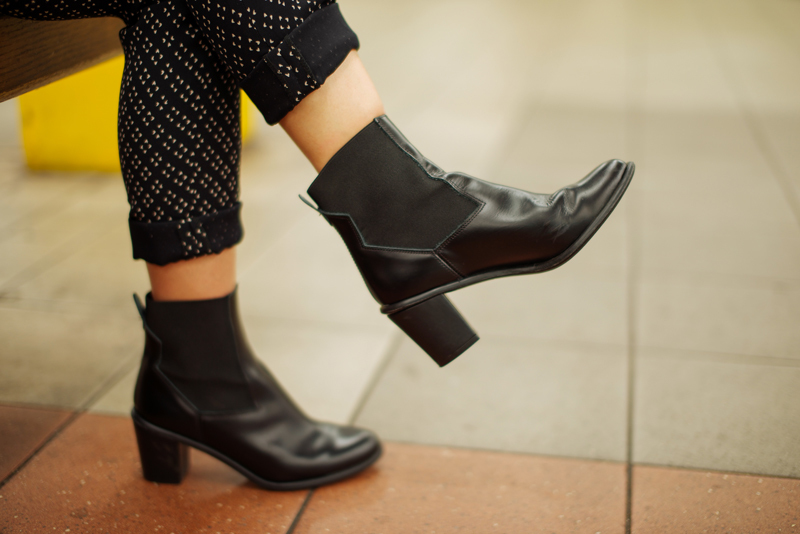 Especially the boots!!! such great style. very inspiring! I absolutely looooove this outfit. Those pants are beautiful. Beautiful collection!! i'm loving the wide cropped tops and the blush tones! Btw, that zara beanie is so adorable! !